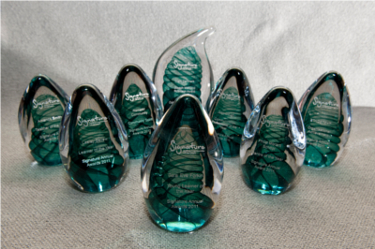 The time has finally arrived, today we find out who the lucky Regional Winners are in the 2013 Signature Annual Awards. This year we received hundreds of amazing nominations in the categories of Teacher of the Year and Learner of the Year and the judging panel certainly had a tough job on their hands. The Regional Winners will now go forward to the National Award in their category. National winners in all 8 categories will be announced at the glamorous Signature Annual Awards Ceremony in London in November. We will let you know more details about the exciting evening soon. Don't forget, it's not too late to make a nomination in the remaining 6 categories. The closing date for nominations in these categories is Wednesday 26 June.